For the drivers of Hardeeville, Beaufort, Hilton Head Island, Bluffton, SC, and Savannah, GA, we at O.C. Welch Lincoln work every day to see people drive off our lot in the perfect Lincoln vehicle for their lifestyles after having the best possible car-buying experience. We maintain a wide selection of sedans, crossovers and SUVs in both our new and used inventories in a variety of models, and trims with different performance and luxury features to fit any Lincoln-lover lifestyle. Whether you're looking to trade-up to a brand new 2017 Lincoln Continental Select or a used Lincoln Navigator. Within our used inventory, we have a list of Certified Pre-Owned Vehicles. These are vehicles that are only a few years old, with limited miles, still under warranty and have passed a rigorous certification process. These pre-owned vehicles have many of the same features as the new vehicles while also having a lower price tag and holds its value more steadily. All of these vehicles also come with a Carfax vehicle history report, and many come from only one previous owner. Once you have found the perfect Lincoln for you, our Finance Center will make sure you take it off the lot with the best possible car loan or lease possible. It's staffed with trained finance experts dedicated to finding the perfect deal for your lifestyle. With every part of our car-buying process, we want your time dealing with financing to be as quick and as stress-free as possible. So, we make sure that the process can begin on your time by giving you the option to submit your finance application right here on our website. You no longer have to take more time out of your day to spend more time at our dealership, and by the time you do come by, we will have the best possible car loan or lease option ready for you. But, perhaps you've already found the perfect Lincoln, and want to make sure it stays in the best shape possible. If that's the case, our Parts and Service Center is here to help. Staffed with trained technicians, we are here to make any service from the routine tuneup to tire and brake replacement. Once you drive that car off the lot, our mission to keep you in the perfect Lincoln stays the same using the same genuine Lincoln parts that are designed specifically for your vehicle. So whether you 're looking for your latest Lincoln, or just want to keep your current Lincoln in the best shape possible, we at O.C. 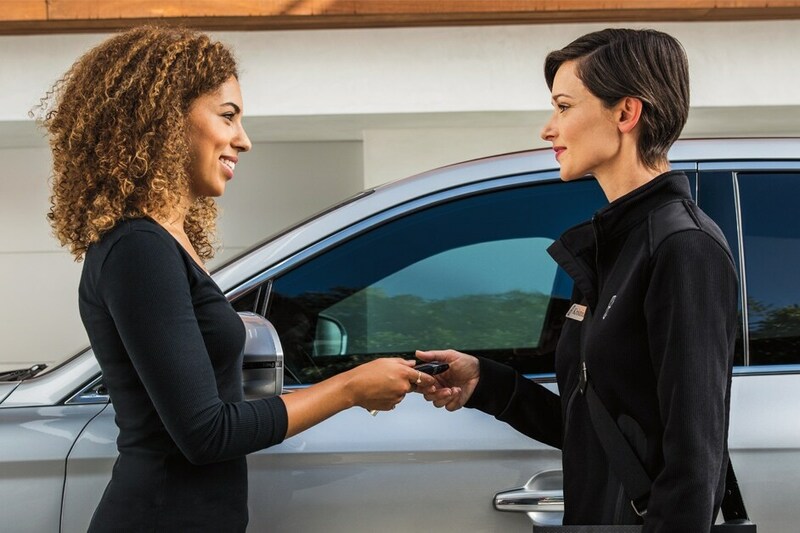 Welch Lincoln are here to make sure you drive off the lot in your perfect Lincoln vehicle after receiving the best possible experience. For more information, on any aspect of our dealership, please feel free to contact us directly here on our website.